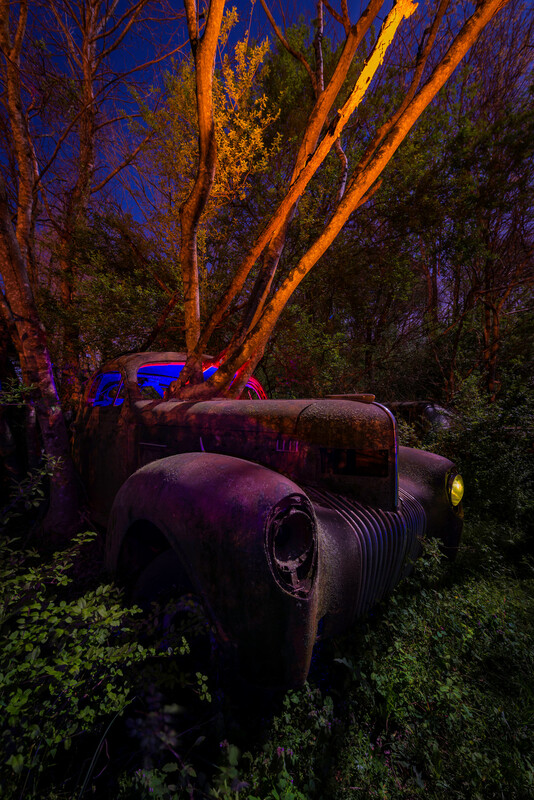 Light painted over one long exposure in Old Car City, USA. Located in White, Georgia on the 411 Highway. A massive junkyard in state of arranged decay where the cars are slowly being taken back into the earth.